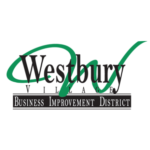 “BID Dollars” is one of the Westbury BID’s most successful and beneficial financial and advertising programs. An initial list of participating businesses was posted in a newspaper ad in the Westbury Times & Hometown Shopper the week of November 18, 2017. A mailing was sent to local residents in early December 2017. If you have any questions or concerns, please email us. We create beautiful flowers arrangements for all occasions! We also have plants, teddy bears, chocolates, fruit and gourmet baskets. and balloons!